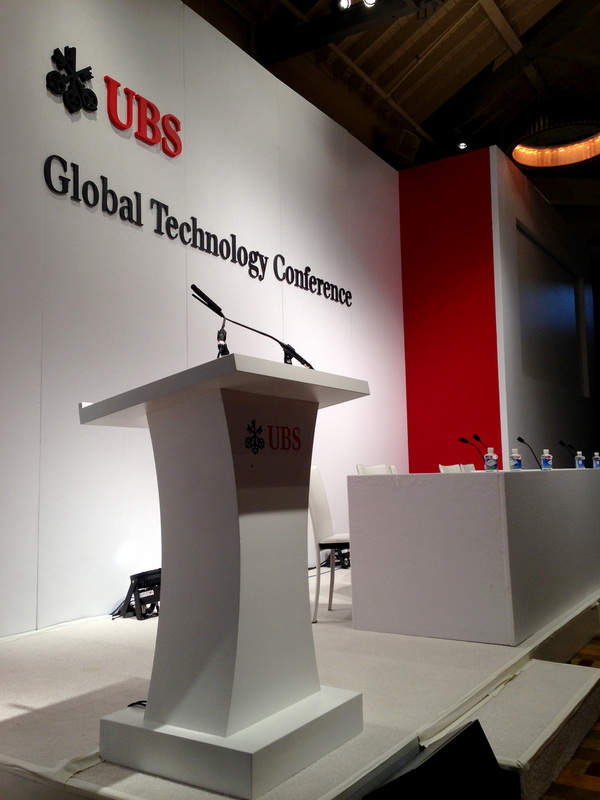 UBS Global Technology Conference — John Murray Productions, Inc. The UBS Global Technology Conference took place at the Cavallo Point Lodge in Sausalito, and John Murray Productions, Inc. worked with Corporate Events Inc. to bring the set to life. The white 50' x 15' hardwall set featured two 11' x 6' screens, with an inset main stage wall accented with a dimensional logo. Pops of red on the inset returns added visual interest to the sophisticated look of the set. The result was polished and modern.